OSCE/ODIHR comes as an effective tool to bring one group of countries to exert pressure on another one. Watching closely the electoral process in the eastern European countries located to the East of Vienna makes one now clearly see how biased and prejudiced the OSCE/ODIHR is. The OSCE/ODIHR representatives vehemently criticize the countries in which they monitored the elections and claim them to be non-democratic to the point that their unsupported criticism, void of reliable source or evidence, only induces irritability. Such double standards were clearly seen during the presidential elections in Russia. However, it should be noted that the Russian authorities did everything possible to provide conditions for transparent and fair elections. Seven hundred international observers along with hundreds of thousands of local observers, designated by the presidential candidates’ headquarters, and many other public organizations were monitoring the elections in Russia. And what about the efforts the authorities made to render online elections process monitoring possible? Web cameras were installed on over 90 thousand election sites. If there were any violations, they were all taped, and the tapes were easily accessible. Therefore, the OSCE/ODIHR’s claim that the elections in Russia were not transparent or fair is absurd. 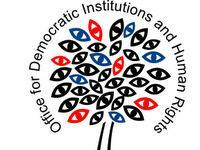 However, the OSCE/ODIHR’s resilience and Europe watchdog status drove it to find new grounds for criticism. ODIHR observers state: “We do acknowledge that there were made some efforts on part of the Russian authorities to have transparent elections; however, the election process could not be fully trusted. During the vote- counting process, one-third of the election sites were reported to have election code violations. However, there is only one nagging question that everyone has on mind- who was reporting those violations? All international observers, with OSCE/ODIHR among them, CIS (Commonwealth of Independent States) Commission, Shanghai Cooperation Organization and others were quite capable of closing down one percent of all election sites. Does this suggest that OSCE representatives rely only on the information received from their “helpers”- opposition parties? If that is the case, can we please see the evidence? Where are the legal grounds for criticism? Well, they do not have them! Igor Borisov, Chairman of Russia Election Assistance Commission together with the non-governmental organization “ Grazhdanski Kontrol” sought from OSCE evidence of election violations. However, the OSCE failed to respond. Igor Borisov, Chairman of Russia EAC, labels the OSCE “as one of the most secretive missions” and believes that it cannot continue functioning in its present state and that it needs to be reformed. Mr. Borisov will seek its reformation and if he has to, he will address the European Court of Human Rights in Strasbourg in this regard. The Russian diplomats have raised a question of OSCE reformation as well. The real concern here is the mission formation and how the information of specific election violations can be obtained. We believe the OSCE needs clear criteria to evaluate political elections and specific guidelines to operate. Russia among other countries will be happy then to endorse it. The argument about the OSCE’s autonomy status will not stand neither will it be accepted by Russia Ministry of Foreign Affairs because Russian Federation is a member of the OSCE , whereas the ODIHR is only a branch of this organization. The OSCE’s biased approach is quite troublesome for other Eastern European countries located to the East of Vienna. Nursultan Nazarbaev, Kazakhstan President, had also harshly criticized the OSCE after Kazakhstan January Parliament elections. He stated: “There have been made unproductive attempts to use the OSCE Mission as a tool to bring one group of countries to exert pressure on another one during the elections. If this continues, we will have no choice but deny its participation in all elections monitoring. Kazakstan reported that the international observers had appeared with their ready made election reports long before the elections took place. Their reports did not have strong legal support either. Alexey Vlasov , Director of Information and Post Soviet Political Research Center, in his reference to Kazakhstan elections noted that “ the conclusions reached by the OSCE observers were based on unclear criteria to evaluate political elections. This only enforces our belief that we are dealing here with double standards. The fact that election violators from the West getting only a slap on the wrist and the election violators from the East being dragged through mud is another clear example of Europe’s double standards. In the US the federal law provides only basic elections guidelines, thus, leaving enough room for different interpretations of these guidelines by different states based on a state-by-state case. There were reports that the ODIHR members were not allowed to monitor the elections in the state of Florida since the law in that state did not allow elections monitoring. (No problem! We are the Law!). I could continue on and on. It is quite amazing that only a limited number of election observers are sent to the countries located to the west of Vienna, but when it comes to the election time in the East, fully staffed, well-prepared observers are sent to the East. This serves as additional evidence that there are no adequate, internationally accepted election observation guidelines that could streamline the elections monitoring process. This is why the lack of these guidelines brings contradictory elements to the ODIHR activity. According to the experts, this issue can be resolved only through revisiting the OSCE’s legal status and through promoting unbiased election monitoring process. Otherwise, the OSCE’s will stop being recognized as an organization that promotes mutual trust.